Notes: I spent a lovely birthday having a slap up pub lunch with Alistair, followed by my now-traditional New Year/Birthday geocaching meetup in Galleywood. It was a great turnout and the folks enjoyed the huge chunk of chocolate cake we brought along for them (although we were too full from dinner to have any!). 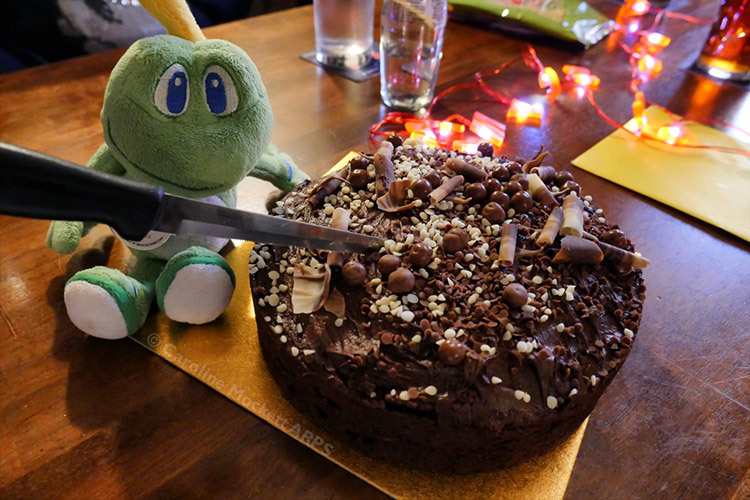 Signal The Frog, the Geocaching mascot, is supervising the first cut of the cake.